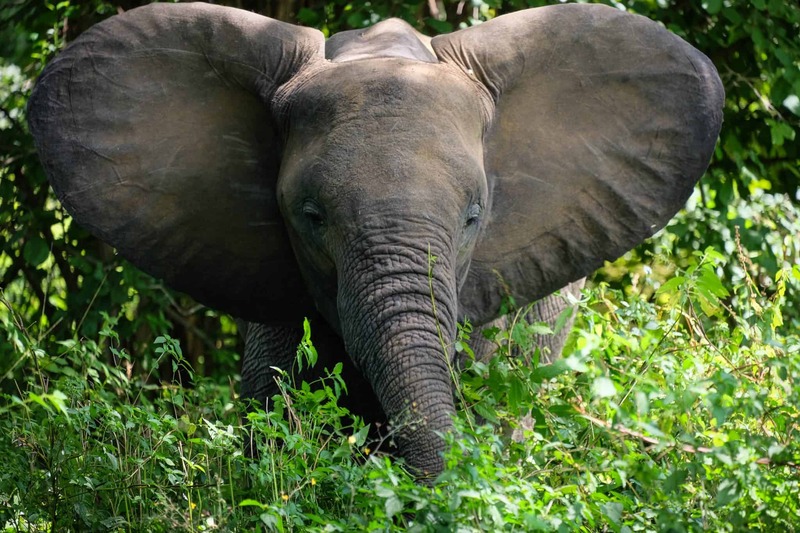 South Luangwa National Park is touted as one of the greatest wildlife sanctuaries on earth. Asides Victoria Falls, the South Luangwa is Zambia’s largest tourism draw with safari goers frequenting the park. At 9,050 sq km, it is massive in size and harbors an astounding amount of wildlife. Famed for a healthy leopard population that almost guarantees guests sightings of the majestic hunter we consider it one of the best parks to go on safari in Africa. 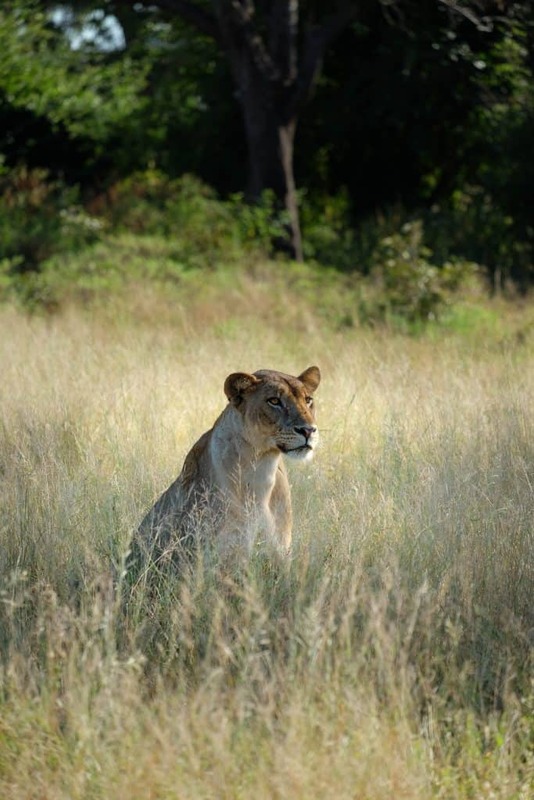 Established as a game reserve in 1928 the park is one of the last natural habitats in all of Africa. Its inaccessibility is the primary reason for this wildlife haven since the park is nearly unreachable from the North and West. The Luangwa river is the artery of the park supporting humongous pods of hippos in the dry season that can number up to over 100. On the plains of the park pukus, zebra, waterbuck, Thornicroft giraffe, and lions thrive. 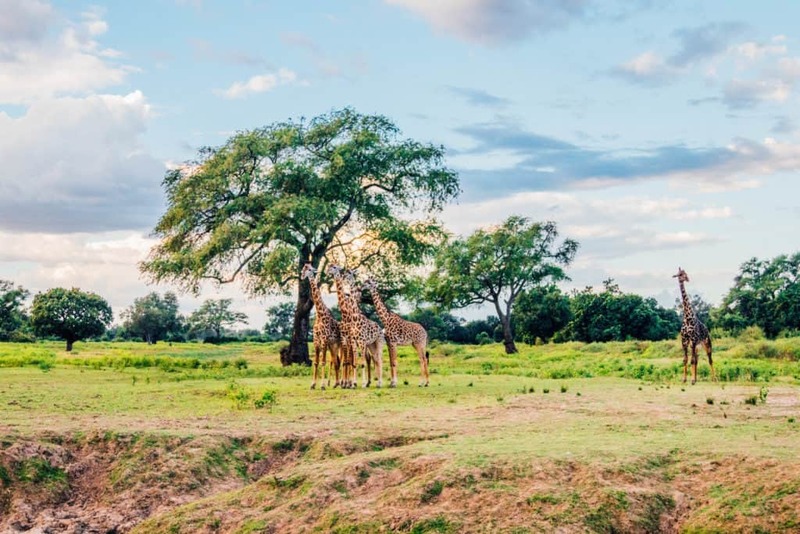 If there is one park in Africa we’ll never forget it’s South Luangwa National Park. 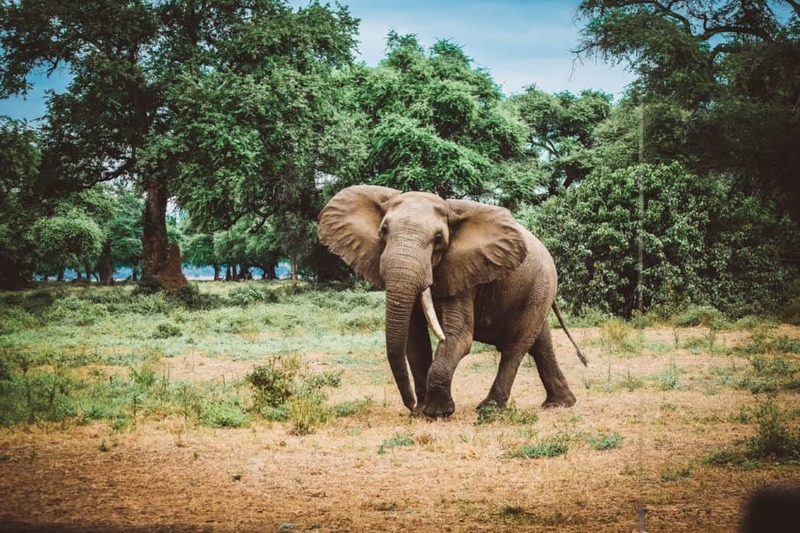 It’s not because we spent nearly a week in the park, saw African wild dogs for the first time, or had an incredible walking safari experience. It’s because six months prior to our arrival we made the biggest mistake in all of our 25,000 miles driving around Africa. While driving overland with our trusty LandCruiser Charlie we had planned to drive from the North into the park. 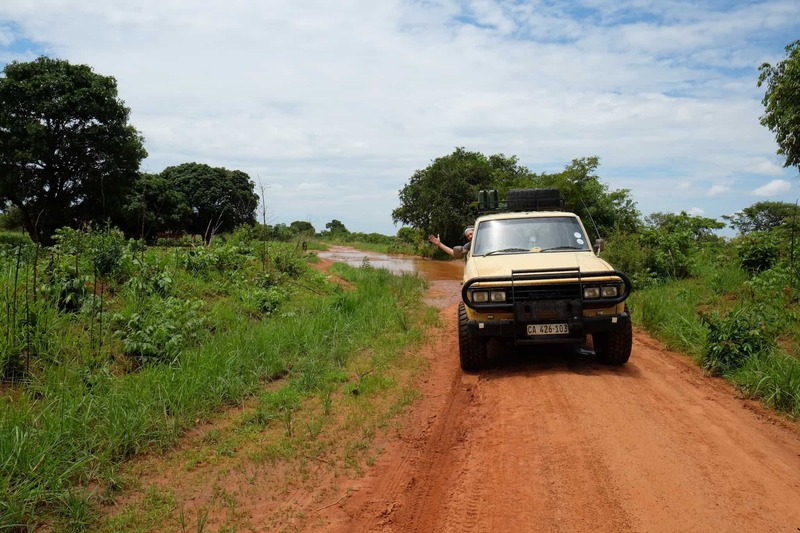 To do this would involve traversing the Muchinga Escarpment which is questionable in the dry season; however, we were smack dab in the middle of the wet season. It was the day before we were due to arrive in the park when we realized our error and determined it would take 21 more hours of driving to right the mistake. We had to cancel. At the time, we thought we had missed South Luangwa for good. Six months later, we’re on a plane from Nairobi to Lusaka for a 40-day safari. Our first stop was none other than Chinzombo, the lodge we had failed to make it to six months earlier. 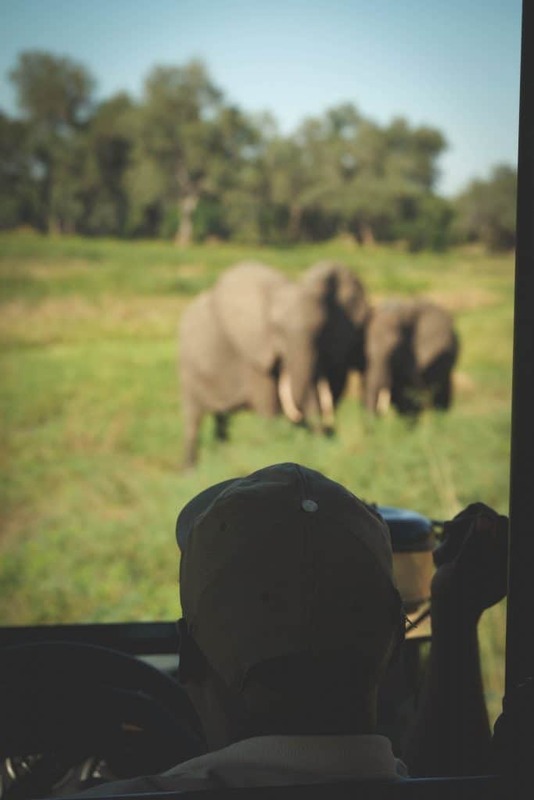 We couldn’t have asked for a better introduction to South Luangwa National Park. 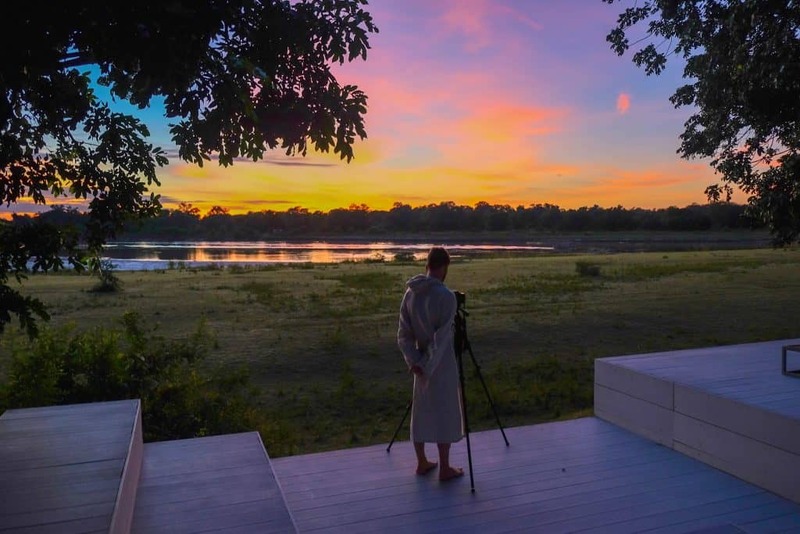 We spent six nights on the Luangwa river and each morning as the sun rose up over the meandering river was breathtaking. It was early May and the weather was cool and dry. A fantastic time to visit the park. Although the game density is not as great as the peak of dry season, it did not stop us from having an amazing safari. 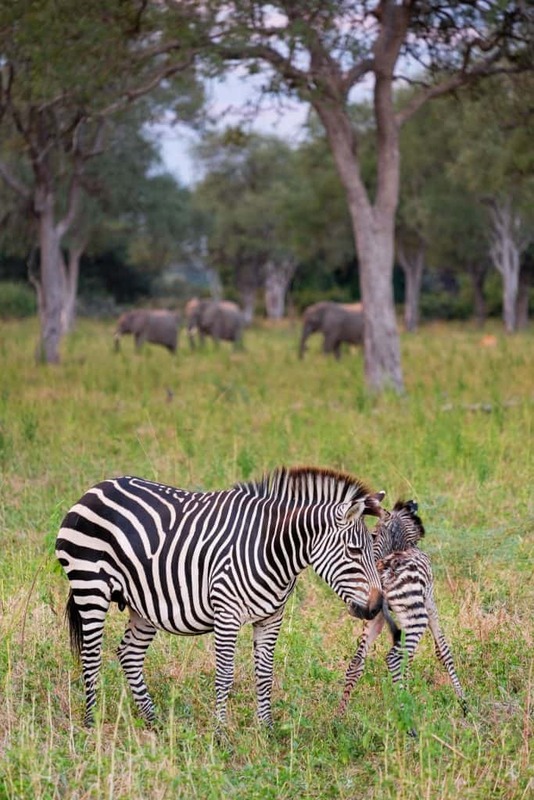 We saw the birth of a zebra and a pack of wild dogs – both rare moments on safari. Watching an animal takes it’s first breath and steps is indescribable, a moment we will remember for life. 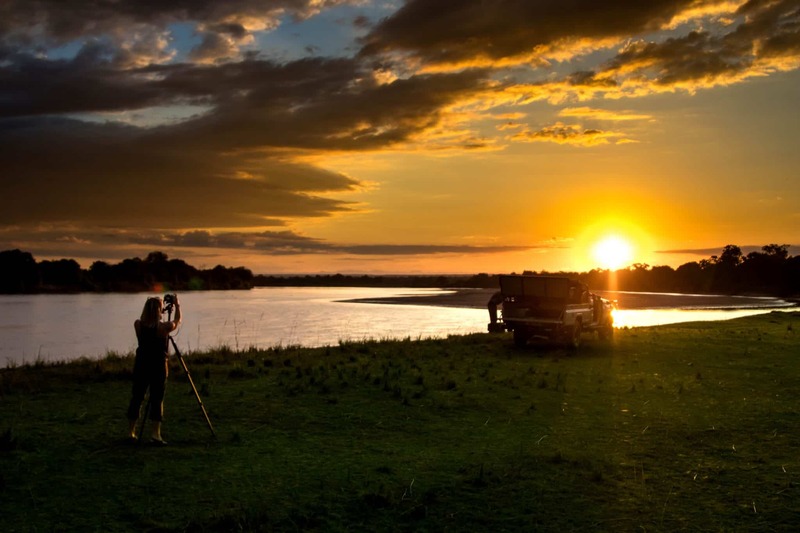 Safaris goers in Zambia have the ability to enjoy both night game drives and walking safaris. We made sure to take advantage of both activities. 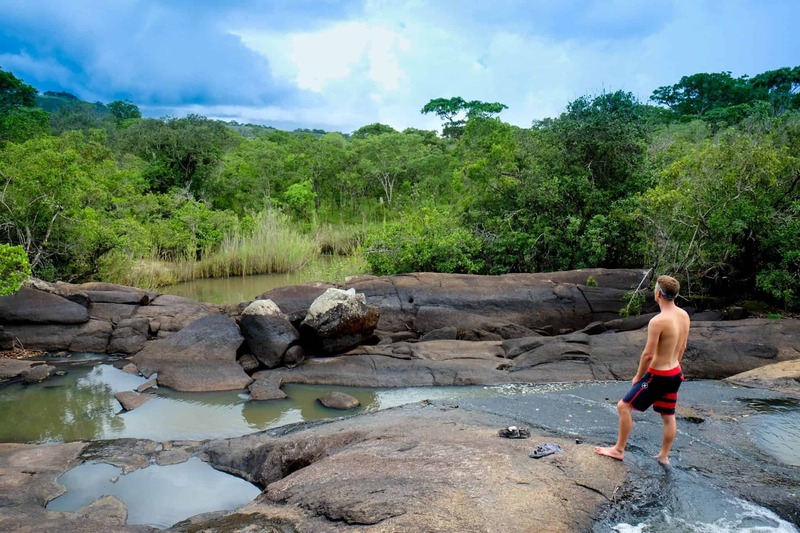 Activities like bush walks are a unique experience as you walk through the bush with heightened senses in search of animals. We were in good hands with Norman Carr Safaris and Robin Pope Safaris the pioneers of the walking safari in Zambia and Africa for that matter. Bush walks can be an absolute thrill, on one of our walks we came close to two elephants who in mid-fight began moving towards us crashing through the brush. Our only safe haven was to hide behind a cluster of trees and hope for the best. Needless to say, we lived with a story to tell. I’d always recommend packing safari boots in your bag to protect your feet in the bush. Our time spent in the bush was enriching for the soul. 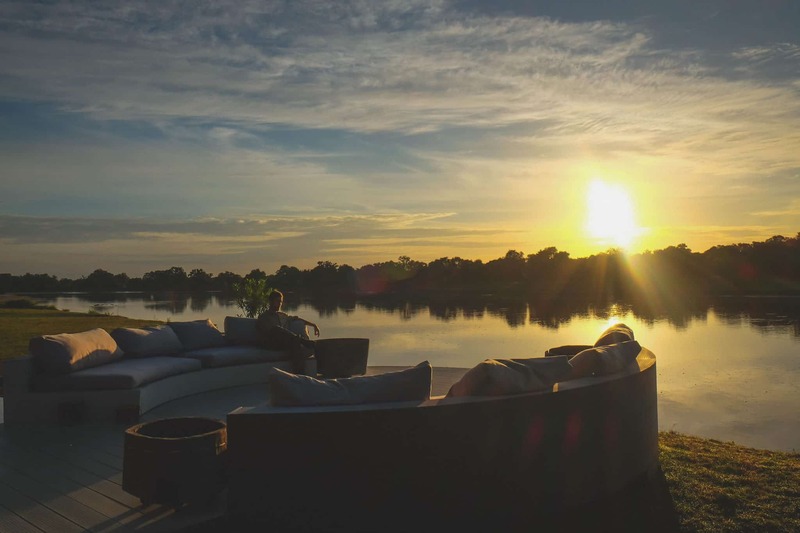 The ritual and tranquility of sipping a Gin & Tonic while watching the sunset in the bush is unparalleled and we can’t think of many places better than South Luangwa. There is a stark difference between seasons in South Luangwa. In regards to safari, the greatest concentrations of wildlife occur at the hottest and driest months of the year. The dry season begins in April and continues to October. October is often referred to as “suicide month” due to the extremity of the heat before the rains arrive, but is high season and when you will see the highest concentrations of the game coming to the river to cool themselves off. In a basic sense there are two seasons, but from there you could divide it into four. The cool dry season that ranges from April to July and the hot dry that ranges from August to October. Then two seasons of rain starting with frequent showers in November and December that reach a peak rainfall in January to March. 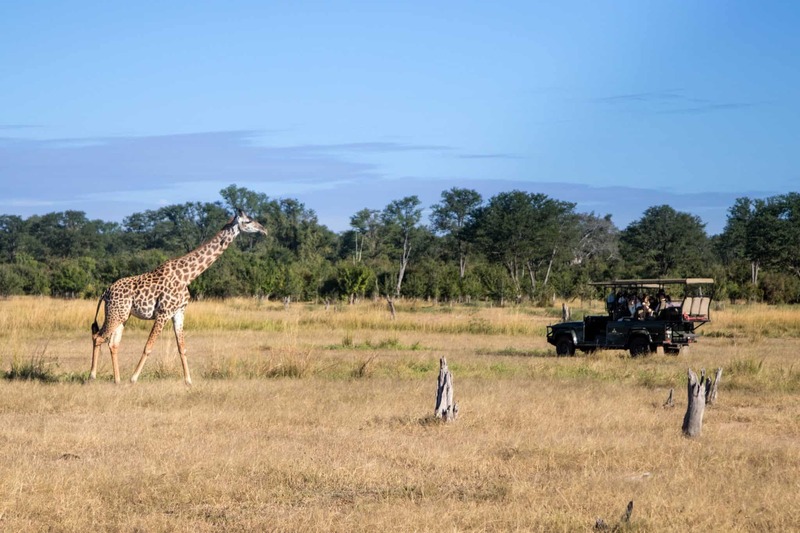 We visited in May and even though the bush was still green and thick from a successful rainy season were still able to see plenty of animals. Fees are good for 06:00 hours to 18:00 hours – not 24 hours! A harsh contrast between wet and dry season leads to a dense population of animals as they move towards the Luangwa River, one of the few source of water in the park.The result is common leopard sightings in the riverine forest, hippo pods numbering a hundred, and close encounters with the large elephant population. Leopard is the most famous of occurrences and the park is world renowned for its population. Game density in the park is known to be some of the best in Africa outside of the Great Migration in the Serengeti-Mara ecosystem. 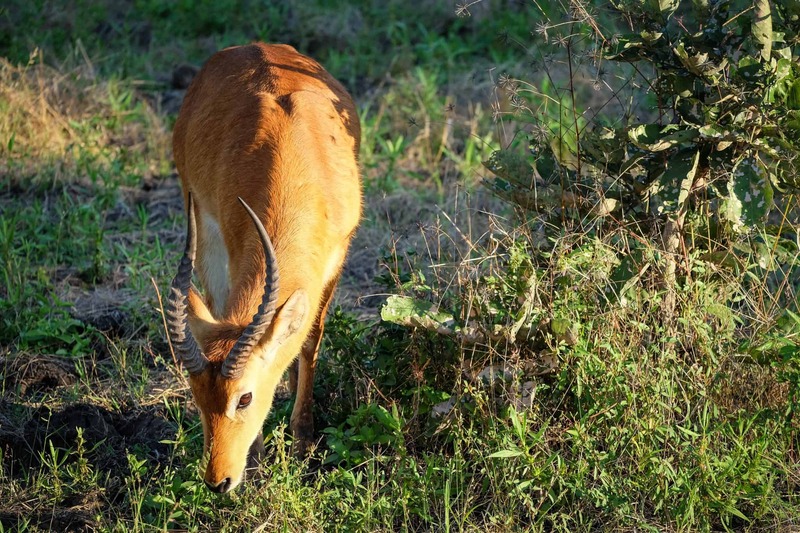 South Luangwa is home to an assortment of wildlife, vegetation, and birds. 60 different species of animals and over 400 species of birds can be found in the park. Big game is active in the park and there are four of “the Big Five.” The rhino was declared extinct in Zambia in 1998. Other highlights include the puku antelope, the endemic Thornicroft giraffe, Burchell’s zebra, roan antelope, and massive buffalo herds. 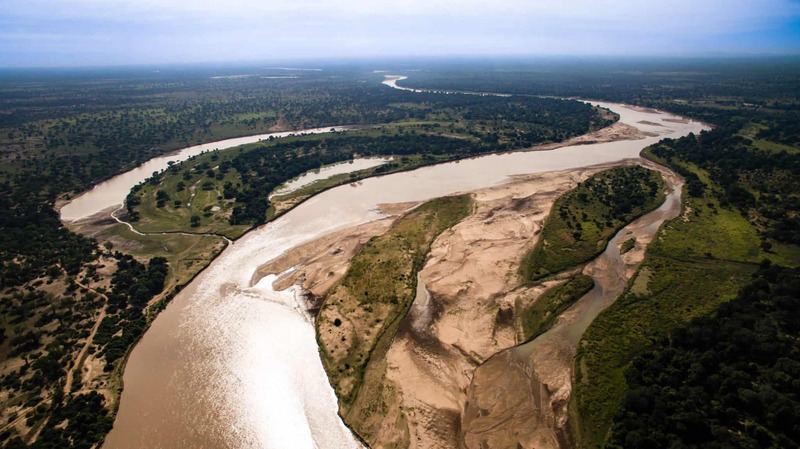 It is the Luangwa Valley that brings an end to the Great Rift Valley. The culmination of this is the Muchinga Escarpment forming the northern and western boundaries of the park. The valley floor is dominated by Savannah woodland. While the majority of the park sits in the basin of the Luangwa Valley below the massive escarpment. 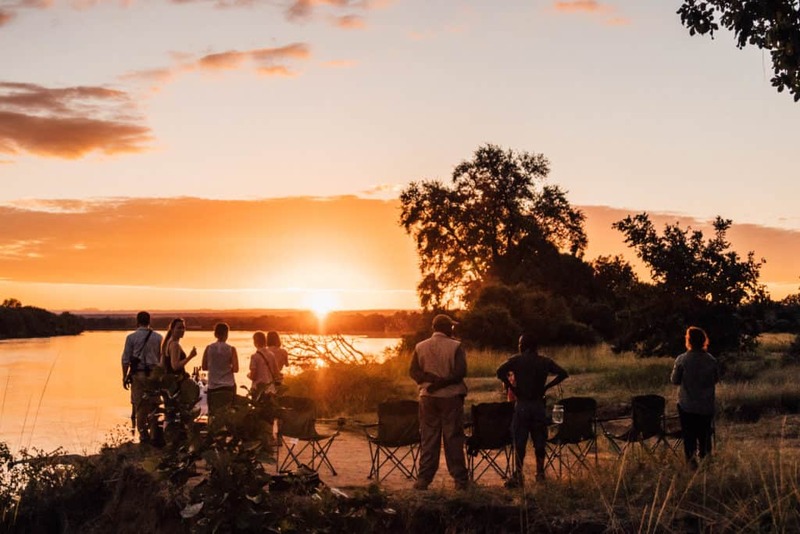 Most of the lodges, campsites, and tourism occurs in the east of the park along the Luangwa river and near Mfuwe (the only notable settlement in the area). 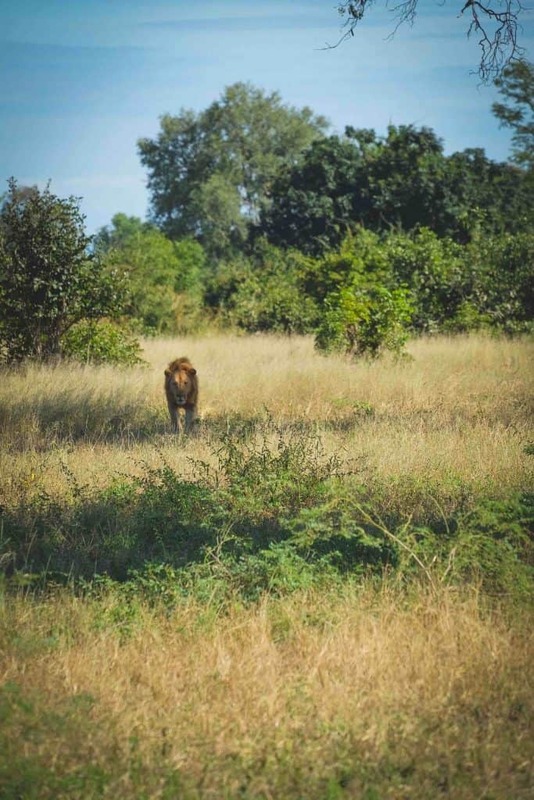 Most guests will find themselves in mopane woodlands that are spread throughout the valley floor. Within these woodlands are large pastures that support the grazing animals such as zebra and impala. Exploring these woodlands is a wildlife photographers treat as backgrounds shift rapidly and animals intermix herds of endemic Crawshay’s zebra, Thornicroft giraffe, and Cookson’s wildebeest intermix. 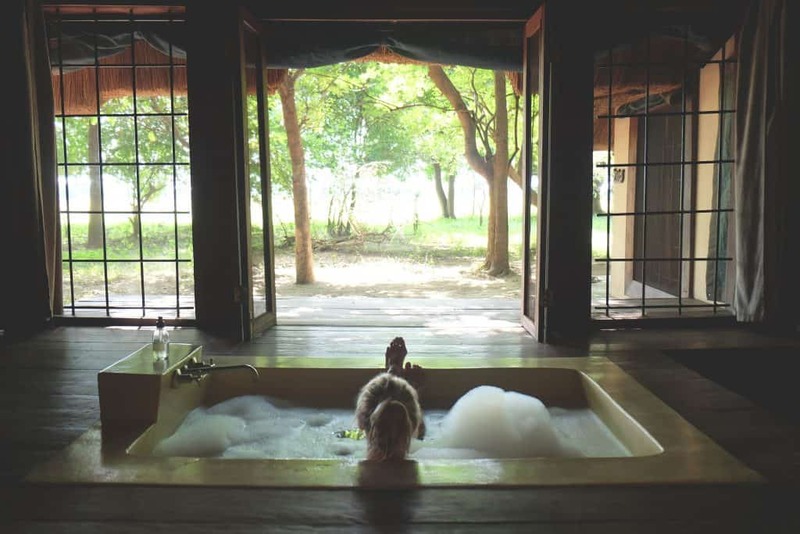 Operated by an amazing safari company, Norman Carr Safaris, Chinzombo is easily the most luxurious safari lodge in Zambia. The lodge blends between modernity and bush with grace. As each villa has a private pool, air conditioned bed canopy, WiFi, bathtub, shower, lounge, and outdoor patio. The star of the show is not forgotten. As the villa blends right into the environment with a wrap around mesh tent flap that provides the best alarm clock we’ve ever had – sunrise. Staying in one their six villas feels like a dream. We were never uncomfortable in our villa with eco-friendly toiletries, coffee table books to pass the time, and staff happy to deliver us whatever we need. On one evening we were delighted to return to our room to find a candlelit dinner for two. That night we had a romantic three-course meal while hippos joined us munching on the riverbank grass. The views over the Luangwa River, a wildlife hotspot, are fantastic and it was difficult to want to leave our villa. Animals frequent the camp with lions, elephants, and various antelope being regular visitors. A highlight of the lodge has to be the main lounge and dining area. It sits on an elevated deck open on all sides to the bush. Interior decoration has the perfect blend of eclectic safari and modern amenities. The centerpiece is the fireplace that sticks out on a landing with large rounds couches perfect to enjoy a nightcap. 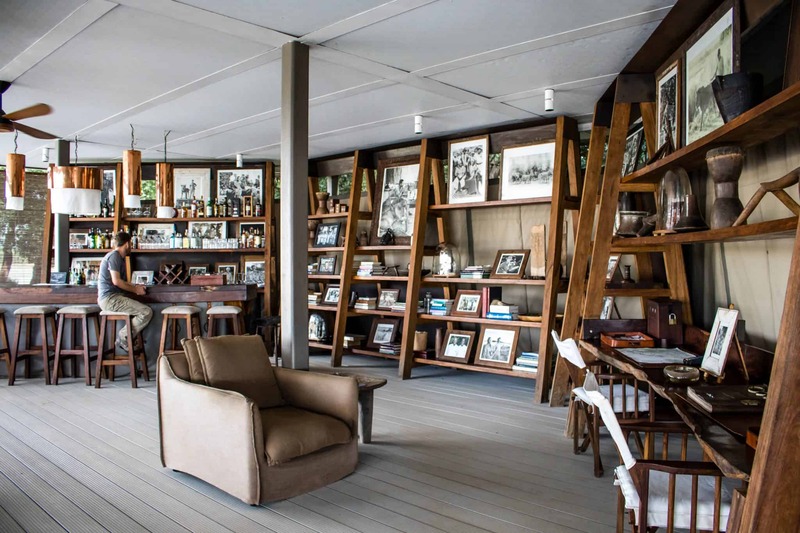 The history of the Norman Carr Safaris only added to the romance of being on safari. Norman Carr established South Luangwa’s first safari camp in 1950 and were paramount in creating photographic safaris in Zambia and Africa. They are also one of the first companies to develop the walking safari. Norman Carr is known for having some of the best safari guides in the business and that was apparent on our stay. Brian, our guide at Chinzombo, was one of the best guides we have had in all of Africa and we were stoked to have his knowledge and share his passion for the bush on each of our game drives and walking safaris. 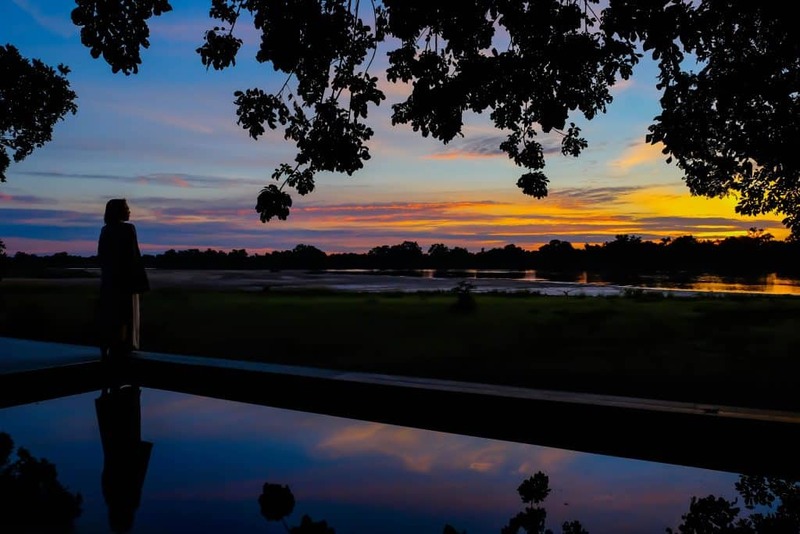 Luangwa River Camp lies within an ebony grove on the banks of the Luangwa River directly across from the game rich area known as the Luangwa Wafwa. 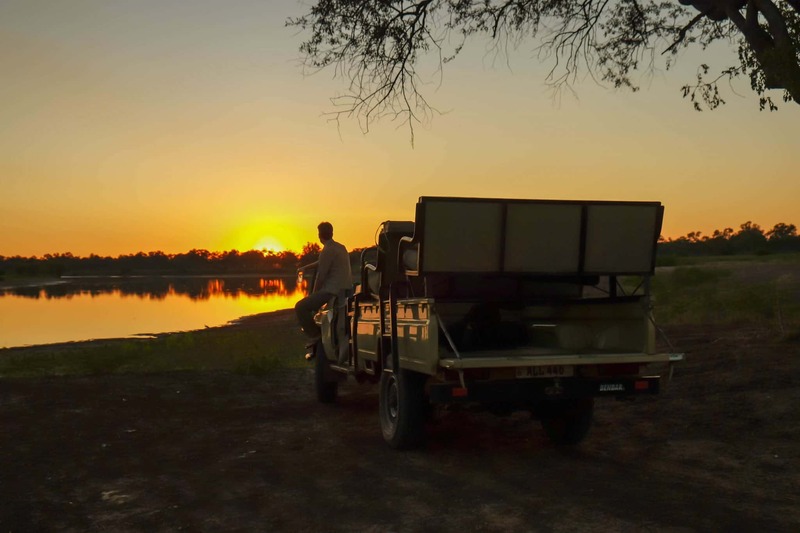 The Wafwa is an oxbow lagoon famous for the large concentrations of game that come for a drink in the dry season. 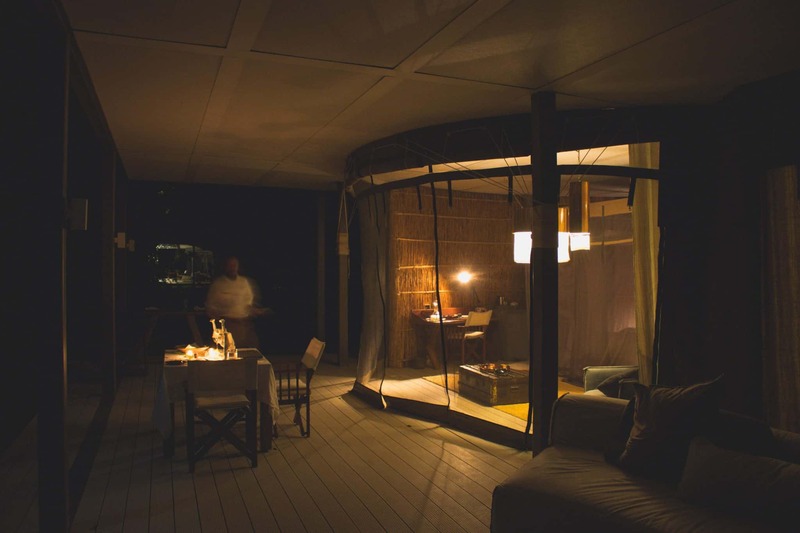 The camp is private with only five villas so time spent in camp is relaxing and intimate. Suites are rustic and spacious featuring a massive sunken bathtub. All of your needs are provided for in the room with a full laundry service and lounge. Rooms sit at ground level and sleeping in the rooms at night feel allowed us to draw a connection to the bush. Each room is individually decorated with a few small touches and splashes of color to differentiate them from one another. The central lodge building is a large concrete structure with massive pillars and a small concrete infinity pool to cool down on those hot days. The whole deck is elevated and provides views down to the wildlife show at the river during the dry season. Dinners and lunches are served family style and guests sit at a communal dining table. The waitstaff were wonderful and always greeted us with a smile. Breakfast is the classic bush breakfast around a fire on the riverbank. For me standing barefoot on the banks of Luangwa River with a cup of coffee in hand was pure bliss. 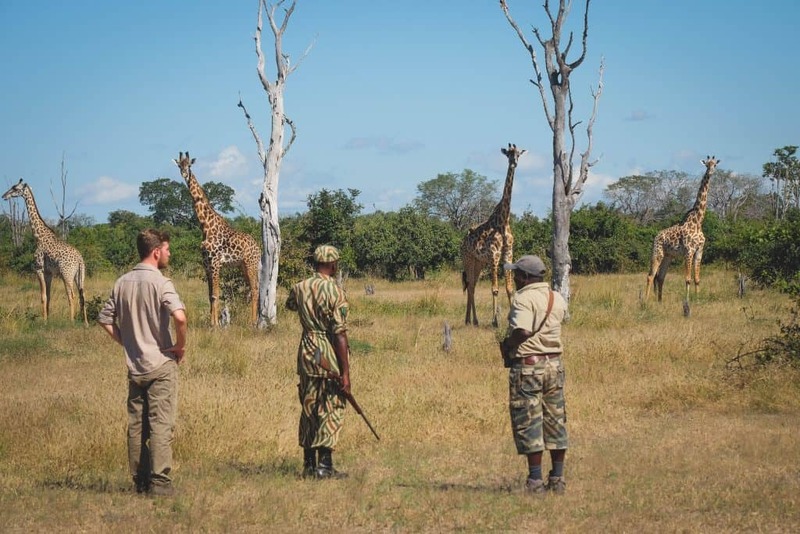 Robin Pope is well known for their walking safaris and offers the activity as well as driving and boat cruises (when in season) as activities. We had wonderful game drives in the park with our guide. 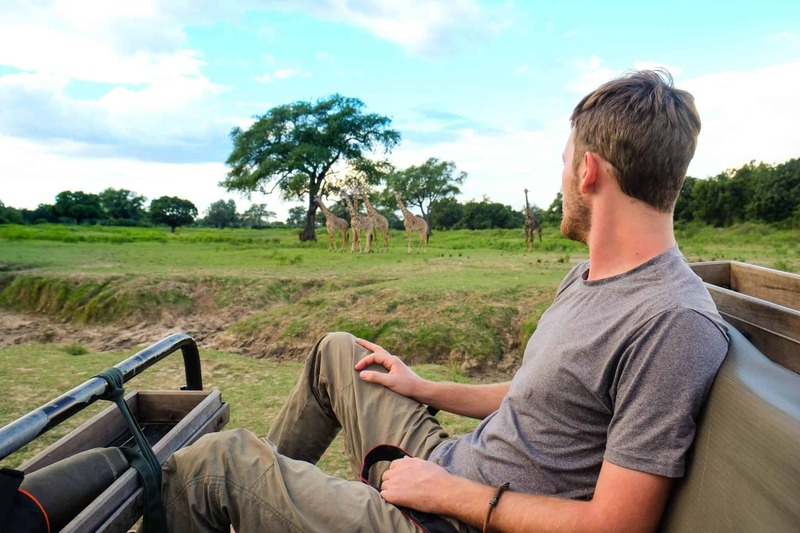 What’s a typical day on safari in the South Luangwa like? 06h30 – Depart on morning activity. We recommend doing walking safaris in the morning as after about 9:00 temperatures will get too hot to walk. 11h30 – Return from morning activity and get ready for lunch. 19h30 – Return from afternoon activity and relax with drinks before dinner. The capital of Zambia is Lusaka, and is one of the main entrance points into the country. We flew to Lusaka from Nairobi and stayed at the beautiful Latitude 15 hotel before we made way for our safari. The main currency in Zambia is the Zambian Kwacha. Although USD is accepted at most safari lodges. Many places in Zambia do not accept credit card. Check to see if you need a visa to enter Zambia. Americans can expect to pay $50 for a 30 day visa, or if traveling to Zambia and Zimbabwe they can get a Uni-visa for $50 good for both countries for 30 days. Visas can usually be purchased on arrival although you do have the option to get an e-visa beforehand. We found most Zambians to be extremely friendly, with many in the tourism sector being able to speak excellent English. Adaptor: You’ll need this adaptor in Southern Africa.